Sounds fun. I post at midnight. How do I get the questions ahead of time? I enjoyed this week's set of questions! my entry is up. :-) Happy weekend! Oh this is way too cool. And boy, do I ever remember that album cover. 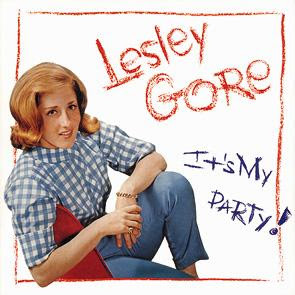 Leslie Gore went to Sarah Lawrence college where she was the biggest snob going! Then she made a few records. And she's where now?????? hahaha what a terrible typo I made. It's "Life" not "Lofe" tsk. tsk. what a great Meme. I think I'll join in next Saturday.have a great Sunday. I enjoyed this meme! I did it a little late but would love to have you stop in....it was actually the first memem ever..and I did 2 others this week also. Now I am into memes! I hope I can play every week!!!! I probably was too honest....but it was very thought provoking! OH... Please add me to the blog... and I have linked you on my page as well! Hey...thanks for hosting the Saturday 9 today. I saw it on Melli's blog, then on Thom's, so I thought I'd play today. My entry is up. I played this week! Please add me to your blogroll and I added you to mine!! !